It will be at least a year before we know the complete circumstances of the crash of AirAsia Flight 8501, but just one day after finding the first pieces of debris and several deceased floating in the Java Sea, the CEO of AsiaAir, Tony Fernandes, was already blaming the weather. And, it would seem he has good reason to, perhaps even more than he realizes. While saying it would be “improper” to speculate on a cause this early, Mr Fernandes said he had spoken with the Indonesian President “about some of the information that we have about what could have gone wrong”. He also added that there were “some very unique weather conditions” in the area at the time, some which we have only just learned of today. 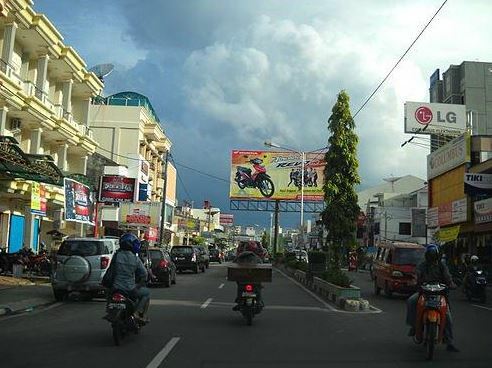 The main variable of Indonesia’s climate is not temperature or air pressure, but rainfall – and lots of it. Winds are moderate and predictable, with monsoons usually blowing in from the south and east in June through September, and from the northwest in December through March. There is a dry season (June to October), influenced by the Australian continental air masses, and a rainy season (November to March) that is caused by Asia and Pacific Ocean air masses. Remember this, because it will become important later. On the morning of December 28th, thunderstorms were already popping up all around the archipelago. AirNav Indonesia has stated that six planes were flying at the same time, and same general area as AirAsia flight 8501, which was flying from Surabaya to Singapore, and lost contact with air traffic control at 6:17 a.m. local time. What happened to the plane was a complete mystery until debris was discovered several days later, to the south and slightly east of where it was last seen on radar. At that point, we at least had confirmation of a crash. But everything else surrounding the before, during, and after – is still a mystery, and in a way becoming more so by the day. But that may change soon. A few nights ago, I came across an interesting post online from a pilot who lives in the region, about the circumstances of the accident. That is extraordinary, and frankly sounds almost impossible. Now keep in mind the aircraft had not been given permission to make any altitude changes, only to deviate west of the flight plan. So what could cause the aircraft to ascend – and then descend – so rapidly? And is this same “something” what caused the plane to crash? …which is essentially what was stated by the online poster, who may even be the same source. We will come back to these statements later. 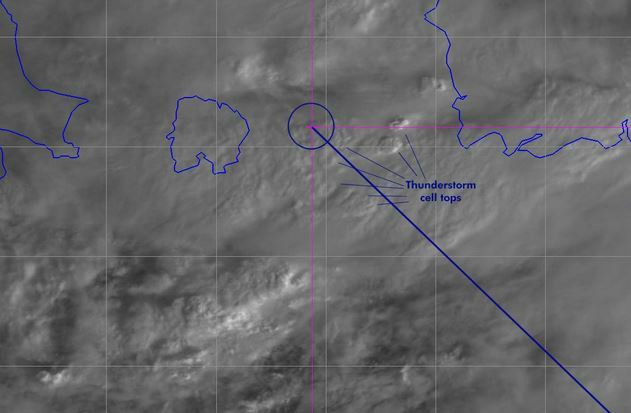 But first let’s take a look at 4 of the monsoon-related variables possibly encountered the morning of the doomed flight, as they help ‘set the scene’ for what is this latest mystery surrounding an aircraft from the region. In fluid dynamics, turbulence is a flow regime characterized by chaotic property changes. In turbulent flow, unsteady vortices appear on many scales, and also interact with each other. 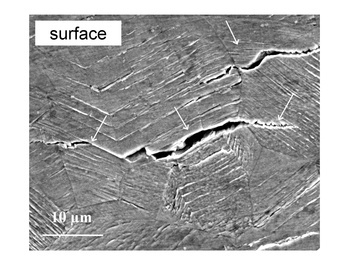 Drag due to skin friction increases. The structure and location of boundary layer separation often changes, sometimes resulting in a reduction of overall drag. Nobel Laureate Richard Feynman described turbulence as “the most important unsolved problem of classical physics.” In flight, turbulence is usually nothing more than an annoyance, causing spilled coffee and weak stomachs. It is graded and reported by pilots from ‘mild’ to ‘extreme’. Turbulence has on occasion caused damage to aircraft, and injuries to passengers and crew. It has also stressed planes beyond their tolerances, and has contributed – as well as caused – plane crashes. One of the most notorious examples of this was in 1966, when British Airways Flight 911 experienced the loss of its tail fin due to turbulence and high winds while flying over a mountain range near Mt Fuji, Japan. The aircraft then entered a flat spin from 16,000 ft, with the forward fuselage section and one of the wings breaking off shortly before impact. Analysis of the vertical stabilizer bolt holes revealed stress cracks, although it was determined by subsequent testing that it did not contribute to the accident. Storm-related turbulence is relatively easy to identify with Doppler radar, or simply by observing cloud formation. 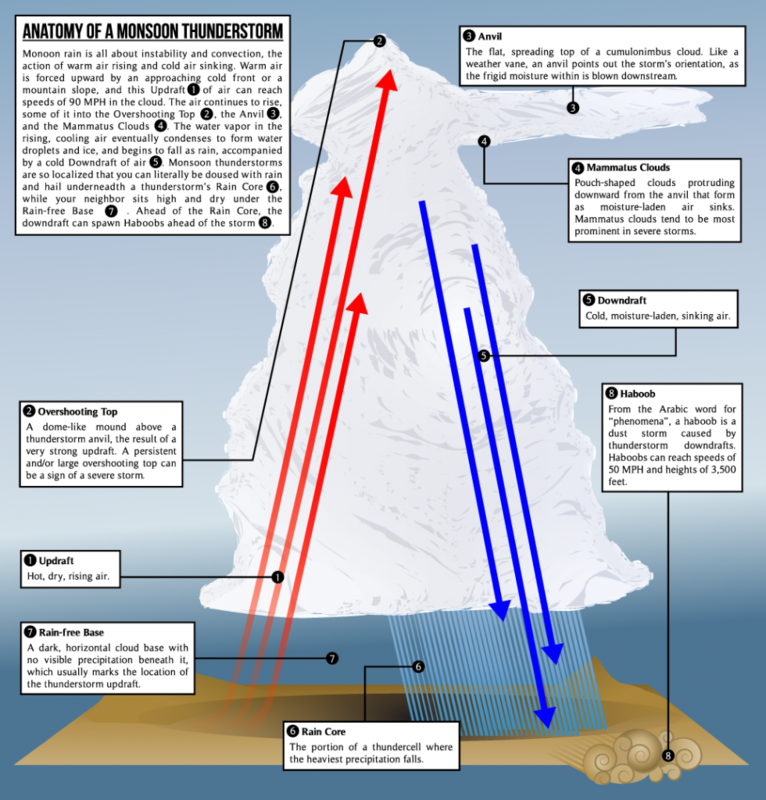 It occurs when two air masses moving at different speeds (or directions) contact each other. 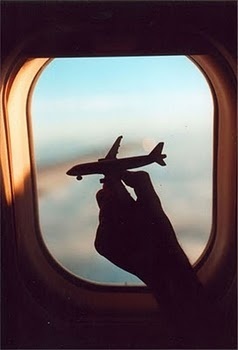 The other type of turbulence is called clear-air turbulence, and is more difficult to detect. When flying in the clear, pilots visually avoid all thunderstorm tops, but in a severe thunderstorm situation, they are supposed to avoid tops by at least 20 miles. Pilots are directed to report all instances of clear-air turbulence whenever they encounter it, so that other planes behind them can be warned ahead of time by Air Traffic Control. Coincidentally, just a week prior to the disappearance of AirAsia 8501, a severe episode of clear-air turbulence occurred off the east coast of Japan, on a flight from Seoul, South Korea to Fort Worth, Texas. Several passengers and crew were injured, 14 of which sought medical attention, and 5 of which required hospitalization when the airliner made an emergency landing in Tokyo. Only 2 days later, yet another episode of severe turbulence in the same region injured 14 people on an Osaka-Singapore flight. Representatives for Singapore Airlines did not give details about where the turbulence was encountered, but those who were hurt suffered injuries to the head and neck, with some having cuts on the hands and legs. 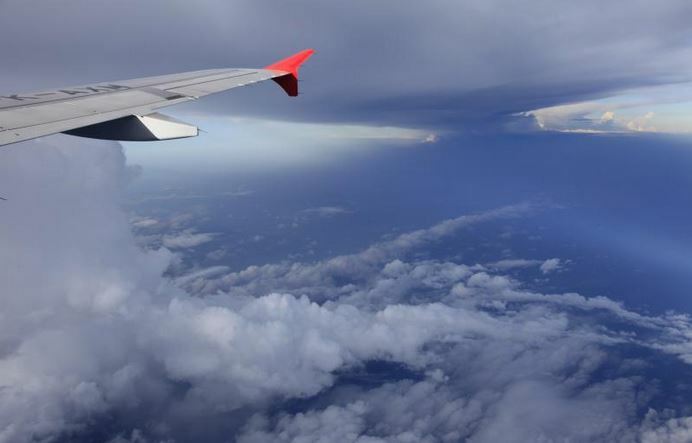 An online search yielded many other examples of severe to extreme turbulence that have occurred in just the past 3 years, with some of these other episodes also causing significant injuries. For example, in April of 2012, 12 people suffered injuries aboard a United Airlines flight when it encountered turbulence while flying over Louisiana. Images broadcast by KTRK showed people being carted on stretchers, some in neck braces, away from the aircraft and toward waiting ambulances. In June of 2012, a United Airlines flight out of Houston, Texas experienced severe turbulence where several people flew up and hit the ceiling of the plane, and then were immediately slammed down to the floor. 5 people sought medical treatment, including 3 members of the flight crew. “I heard both the pilot and a flight attendant say that they had been flying for 20 or 30 years and had never seen anything like what they saw today” said first-class passenger Jeff Hornback, during an interview with KLPC. While planes are designed to survive even the most severe forms of turbulence, skimping on maintenance can also leave them vulnerable. 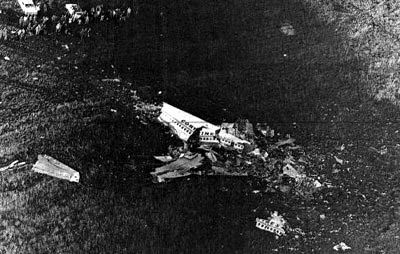 After turbulence tore a wing off of Wien Consolidated Airlines flight 55 in Alaska in 1968, many considered the crash a freak natural accident. However, the NTSB investigation found that the plane would have survived the winds if it had not been for cracks that resulted from improper maintenance. Microbursts occur from powerful thunderstorms that have a sudden down burst of wind. When associated with rainfall they are called wet – or without rain, dry. They can occur at any altitude, however their effect on an aircraft is most pronounced nearer to the ground. It is the distribution of airflow as it impacts objects that can have damaging effects. One of the most prominent examples of how dangerous a microburst can be, was the crash of Delta Airlines Flight 191 in 1985. The plane crashed when it hit a microburst while landing at DFW, killing 8 of the 11 crew members and 126 of the 152 passengers on board, and one person on the ground. 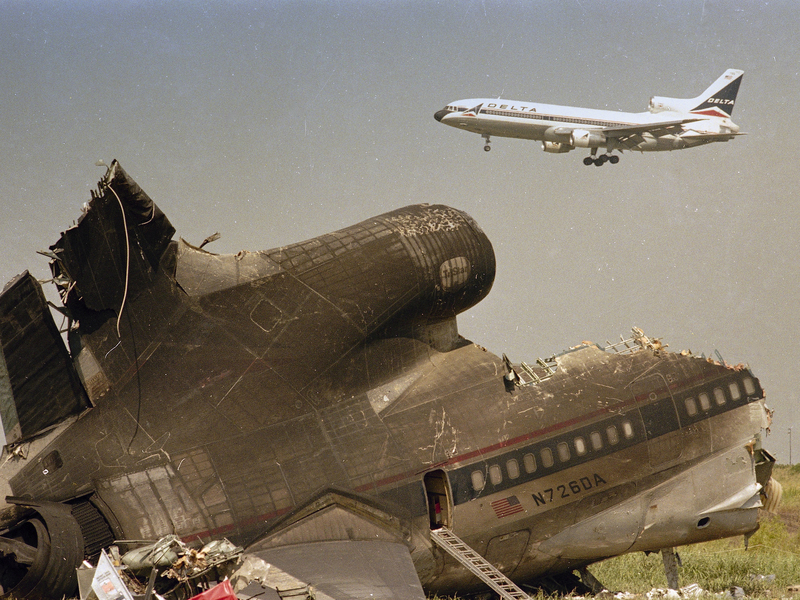 The crash was featured on the TV shows “Air Crash Investigation“, “Mayday: Slammed to the ground” and the 1989 movie “Fire and Rain“. Wind Shear is a difference in wind speed and direction over a relatively short distance in the atmosphere. Wind shear can be broken down into vertical and horizontal components, with horizontal wind shear seen across fronts and near the coast, and vertical shear typically near the surface, *though also at higher levels in the atmosphere near upper level jets and frontal zones. Wind shear itself is a microscale meteorological phenomenon occurring over a very small distance, but it can be associated with mesoscale or synoptic scale weather features such as squall lines and cold fronts. It is commonly observed near microbursts and downbursts caused by thunderstorms, fronts, areas of locally higher low level winds referred to as low level jets. An updraft is a small‐scale current of rising air, often within a cloud. One of two forces causes the air to move. Localized regions of warm or cool air will exhibit vertical movement. A mass of warm air will typically be less dense than the surrounding region, and so will rise until it reaches air that is either warmer or less dense than itself. The converse will occur for a mass of cool air, and is known as subsidence. This movement of large volumes of air, especially when regions of hot, wet air rise, can create large clouds, and is the main cause of thunderstorms. Drafts can also be created by low or high pressure regions. Updrafts and downdrafts, along with wind shear in general, are a major contributor to airplane crashes during takeoff and landing in a thunderstorm. 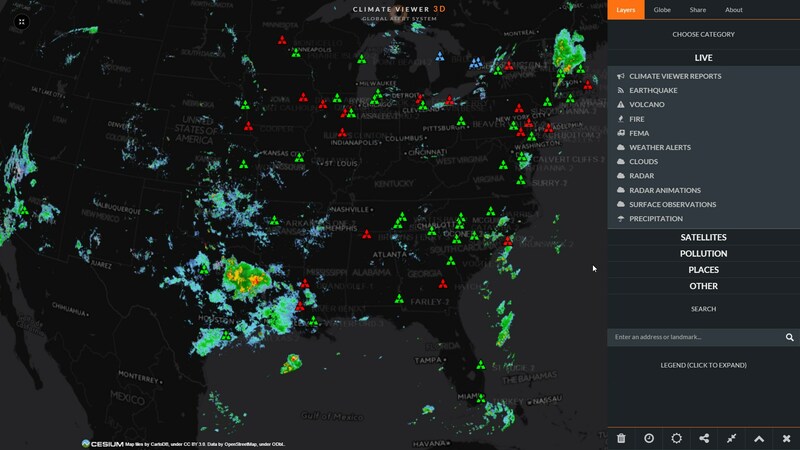 “So far, the numbers taken by the radar are unbelievably high. This rate of climb is very high, too high. It appears to be beyond the performance envelope of the aircraft”. The AirAsia jet in which 162 people lost their lives this week behaved in ways “bordering on the edge of logic” according to Indonesian aviation analyst Gerry Soejatman citing leaked information from the air crash investigation team. The Airbus 320-200 climbed in a way that was impossible to achieve by the pilot, adding that it subsequently “didn’t fall out of the sky like an aeroplane”, he told Fairfax Media. Leaked figures show the plane climbed at a virtually unprecedented rate of 6000 to 9000 feet per minute, and “you can’t do that at altitude in an Airbus 320 with pilot action”. The most that could normally be expected would be 1000 to 1500 feet on a sustained basis, with up to 3000 feet in a burst, he said. The plane then fell at an even more incredible rate: 11,000 feet per minute with bursts of up to 24,000 feet per minute. Mr Marosszeky, a Research Fellow at the University of NSW School of Aviation, said a climb rate of 6000 feet per minute would indicate “a severe weather event”, because that rate of climb was “a domain for jet fighters”. It is now becoming much clearer that whatever happened…happened very fast. Too fast for the pilot to call Mayday, unless perhaps he couldn’t because of incapacitation, or even equipment failure. There has been at least one case from 1985 of China Airlines Flight 006 that experienced an even faster dive (30,000 fpm) after losing an engine at high altitude, which the pilot was able to recover from and land, with only 2 minor injuries. This means a water landing is still not out of the realm of possibility for AirAsia 8501, at least with what we know so far. There has been some additional details shared online that have not yet been reported in the media – that the plane’s descent was accompanied by an almost constant left turn, and that a structural specialist for Airbus is being brought in for consultation. That may indicate that the airframe was compromised, perhaps the left wing. The same questions keep appearing from aviation enthusiasts who have looked at the data…was there a bomb aboard? A fire or explosive event that affected controls and operation? As unlikely as those scenarios seem to be, considering the pilot requested a course change just prior to “the event” – believe it or not, it has happened before. When the tail section of Continental Airlines Flight 11 exploded over Iowa in 1962, it happened within minutes of the flight deviating to avoid thunderstorms. Although at first attributed to a weather event or lightning strike, the investigation determined the cause of the crash was a suicide bombing committed as insurance fraud, by placement of a dynamite bomb left in the rear lavatory. More can be learned once the black boxes are recovered, and if the Indonesia Navy did indeed visualize the fuselage on the sea bottom, it may only be a matter of days before it is in the hands of investigators. Even Singapore’s Autonomous Underwater Vehicle was flown in on Thursday, while the navy’s MV Swift Rescue joined its three other vessels to conduct search operations in the area, according to a statement by the Ministry of Defence. Next the aircraft will need to be recovered, and the accident experts can begin a hands-on reconstruction. 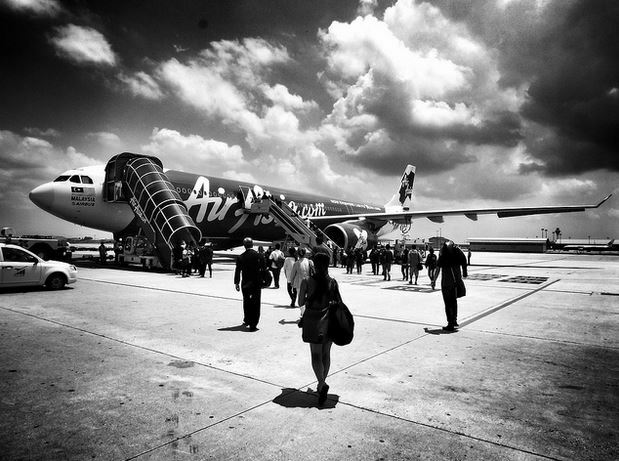 One big factor, however, must be considered in addition to these scenarios, and that is what role The Wigner Effect may have had contributing to the demise of AirAsia 8501, during monsoon season no less, and in a region that seems to be experiencing an uptick of severe turbulence and wind events. Before we go any further, for those of you who may not be familiar with my previous work, I am not an aviation expert. I am a radiation researcher, reporting on the effects of nuclear fallout in our environment. It was during my research of the Fukushima Accident that I learned of a correlation to pilots passing out while flying planes, as well as pilots and passengers having heart attacks in-flight in areas where radiation fallout was occurring. In fact, we have a combined number of 6 documented cases of pilots involving 6 pilots passing out mid-flight since 2004, in the 7 years before 3/11, and 17 events involving 19 pilots in the past 3 years, post 3/11. This information does not include medical emergencies that resulted in crashes, or 11 military pilots that passed out flying F-22’s, which the USAF has attributed to tight vests. Soon, we started charting flight emergencies in terms of mechanical failures, and that’s when things really began to take off. Without getting into a lengthy discussion of the health effects of radiation, we will instead focus on what the Wigner Effect is, and how flying through nuclear fallout affects aircraft materials and components. But in order to understand what is happening, it is important to share a bit of background into all things nuclear. Most pilots are well aware of what radiation is, as it has long been a known factor in skin, breast, and other cancers from flying at altitude. We are somewhat protected from cosmic radiation by our magnetosphere, a protective layer around the earth. Radioactive elements and isotopes also exist in the rocks and soil all around us, in mostly minute levels. This is quite different from what is released from nuclear accidents at reactors, the processing of fuel, and making – storing – and in the past detonating – nuclear weapons. To make a very long story short, the type of radiation that comes from man-made nuclear materials is far more dangerous than anything you would ever come across in nature. And we have had many, many releases to the environment, especially over the last 60 years. One of the largest releases of nuclear radiation to the environment occurred during atomic bomb testing. Many governments tested their weapons as a show of force, but also to assess what the “fallout” would do to populations downwind – not only in terms of cows and milk, but to cars, ships, and infrastructure. The US government would give ‘free car washes’ to communities after the explosions after first checking the cars with Geiger counters, then wash them with assorted acids, and then check them again. This was to see how best to decontaminate metal surfaces. What they learned during this time is not even hydrochloric acid removed radiation from metal, and power-washing only embedded the radiation further, making it become ‘part of the metal’. Another thing that was learned from this giant open-air nuclear experiment is that nuclear fallout would return to earth after atomic detonations and radiation accidents in the form of rain. Dr. Ernest Sternglass wrote about one case where a science class in upstate New York got the scare of the school year when all their Geiger counters were pegged to the top of the scale following a rainstorm. A quick phone call from the teacher to a friend in the military revealed that the day before, an atomic bomb was set off in Nevada, and was the cause of the extreme readings all the way in New York, 2500 miles away. And yet another possible correlation found during bomb testing was the intensifying of certain types of violent weather. 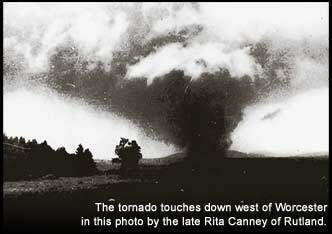 The 1953 Flint–Worcester tornado outbreak sequence was a devastating tornado outbreak spanning three days, two of which featured tornadoes each causing at least 90 deaths—an F5 occurring in Flint, Michigan, on June 8, 1953, and an F4 inWorcester, Massachusetts, on June 9. These tornadoes are among the deadliest in United States history and were caused by the same storm system that moved eastward across the nation. The tornadoes are also related together in the public mind because, for a brief period following the Worcester tornado, it was debated in the U.S. Congress whether recent atomic bomb testing in the upper atmosphere had caused the tornadoes. Similar observations have been made in Japan, the US, Canada, and Europe over the past several years since Fukushima. 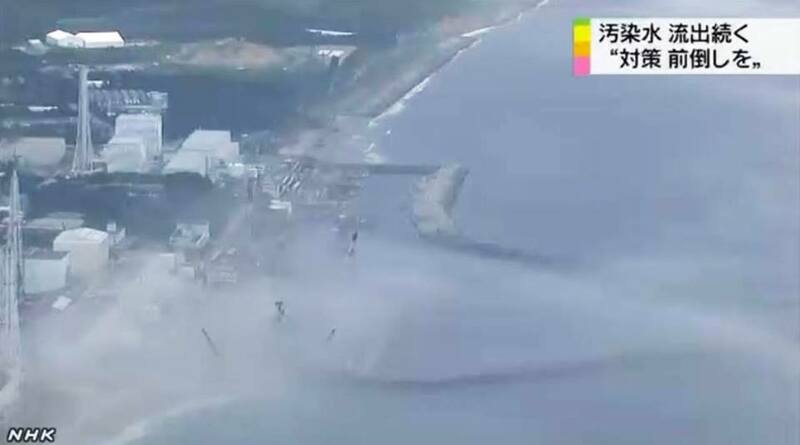 So what is so different about Fukushima from the days of bomb testing, Chernobyl, or the 99 or so other nuclear accidents and incidents that have occurred in the past? The biggest difference, and one that people find most surprising when they hear it, is that the accident is still going on. Since the second week of March 2011 until now, there have been 3 uncontained and unmitigated nuclear meltdowns…where the nuclear fuel from damaged reactors leaked down into the ground, and out into the environment. Some of it steams out of the ground daily where it has made contact with hundreds of tons of lava-like fuel. Every day, thousands of tons of groundwater move through the site, in addition to thousands of tons that are still poured into the reactors, every single day, 365 days a year, for almost 4 years now. A relatively small portion is collected and stored on site in huge tanks, but the rest dumps into the Pacific, where much of the weather that travel across the US and Canada is generated out of…as well as the monsoons in SE Asia. And there is current research into where this massive ‘plume’ of Pacific radiation resides, which appears to now be hitting, or is very close to, the west coast of the United States. But behind it, is a never-ending river of more. And very little is known, and even less is publicized, about what all this radiation is doing to everything in our environment – especially what may be doing to the planes and people flying through it on a regular basis. The Wigner Effect, also known as the discomposition effect, is the displacement of atoms in a solid caused by neutron radiation. Dr. Eugene Wigner, for which the effect is named, was a scientist that ended up doing research for the US government about metal fatigue caused by exposure to radiation. Much of the work he did was at Oak Ridge National Laboratory in Tennessee, the site of the Y-12 weapons storage facility. Very few of Dr. Wigner’s works have ever been published, and even most nuclear industry workers have never heard of him, unless they happen to work in the decommissioning of an accident site. However, in working with a former weapons lab scientist turned whistleblower, Dr. Leuren Moret, we began collecting and later embarked on a research project to bring the Wigner Effect out of the shadows and into the spotlight for anyone who would listen, especially those who worked for, and would benefit from this knowledge, in the aviation industry. And we owe it all to a tip from a woman who flies for an airline out of Sea-Tac, who alerted us that immune disorders were plaguing her co-workers as well as herself, which ended up being a textbook cluster of radiation effects on health, much of which had been learned from studying the populations in Chernobyl and Belarus for the past 28 years, including mitigation for those effects. We determined the best way to share this information would be through social media, by doing interviews and publishing articles in small chunks of info so that the concepts would not overwhelm anyone trying to learn about them. Because this interview posed unique challenges and complexity in terms of discussion across multiple fields of science, including chemistry, physics, nuclear science, radiation health, aviation, atmospheric science, materials science, engineering, and even rocket science – the interview has been segmented into a series of 12 uploads which will have corresponding documents published on this website, as well as links to all the items discussed for those who want to learn more. Following the perusal of this information, one should be able to discuss the Wigner Effect quite fluently, regardless of your chosen field of research and education. Whatever brought down AirAsia 8501, be it a violent encounter with a monster updraft or something else entirely, it will be interesting to see how metal fatigue, hydraulics, electrical components, and computer components may have played a role. Mr. Soejatman, a respected aviation analyst in Indonesia, had said the extremity of the forces on the plane meant the “black box” flight recorder would be of less use in explaining what happened, than forensic examination of the pieces of wreckage. I would strongly have to agree, and the one thing I do know, is although this may be the first you have heard about the Wigner Effect, it certainly won’t be the last. There was insider trading reported as in 9-11. The President of the company allegedly sold almost a million shares in the insurance outfit covering his fleet the day before; there was also a murder-suicide theory – Islamic pilot and Christian passengers; and a request for an unusual change of course just prior to loss of contact. I wouldn’t take any of these to the bank, but when you consider sirlines hedge fuel ahead and are paying full price pre drop in price, I can understand someone wanting not to eat that derivative loss. Then there is the human factor….this is almost funny…almost – NOT. Imagine if this thing had crashed. Phenomenally good article Christina! I learned a lot, confirmed some things I suspected, and really applaud your Wigner series. Fascinating, informative. Girl you’re on fire. Awesome website & love your personal name. Would you please have your webmaster add a print function to your website. The printouts look very unprofessional with all the extras that print with the article. Over the past 42 years I previously owned 13 companies and presently own two that I operate as a consulant/advisor. Money was tight when I started my first companies. In order to save money I had to learn how to do my own advertising & marketing. This info was presented to you just for the purpose of helping you increase your market share. And, to let you know I have some experience in these areas & just want to help. Example: Natural News (Health Ranger) has one of the most popular alternative newsites on the web. His print function works excellent. Otherwise, the page, looks to busy & distracts the viewer’s attention away from the central article. Studies show that the viewers attention has to be captured in the first 2-3 seconds & their focus kept solely on that article until the end in order to obtain maximum impact. Wishing, you & all your associates, the best. Thanks, for all that you do! Thank you for the advice, changes coming soon! Thank you for that important intel. During the March Madness basketball championships (a college basketball tourney in the US) I watched many games with my daughters as they know kids who play on these teams. EVERY SINGLE GAME we watched had at least one player that was sidelined for a nosebleed. Just an observation, if you were watching too you know what I am talking about. These players were flying all over the country during this tournament and I would expect their exposure to rads to affect their health; added stress from competition is brutal enough in and of itself. Global travel as your NZ Rugby teams experience would be far worse as length of flight is much longer at altitude, hence the possible brain and heart effects. Without naming anyone specific on these college basketball teams, I can say that what I have heard and seen indicates some of their health problems are worse than what has been released publicly. More info to come soon as I am able to share it. Big problems. Where are the cardiologists?? They should be all over this. A recent study published in the Open Journal of Pediatrics found a 13% increase in congenital anomalies in the 5 west coast states during the first 9 months post Fukushima. We will likely see similar upward trends in all aspects of radiation health effects. The closer you are to known risk factors/force multipliers the sooner the effects will be manifested (proximity to Japan/west coast/high rainfall area/seafood diet/age/synergistic effects/amount of air travel/amount of time spent outdoors especially in the days/weeks/months following the initial accident and then whatever atomic legacy you have if you were alive during bomb testing, as well as your parents exposure). This is a grim reality for the whole world, but especially for USA because of your accumulated exposure, Fukushima may be the straw that breaks your camel’s back. Years ago I came across polioforever.wordpress.com and it’s a horrifying history. It’s a long read but full of stats and amazing archives – I was glued to it until 4am so be warned lpl. On the subject of aircrashes and Wigner I’ve been pondering what can be done apart from reducing air travel to essential minimum. The first thing is to upgrade from 50 year old flight recorder technology!! How about a camera system with audio on the flight deck which stores to the black box or better still can also be accessed live by air traffic control in emergencies? It’s a workplace so there are no privacy issues and WiFi is already available. Next we have this ridiculous spectacle of flying over an airport so that ATC can check out the undercarriage/exterior with binoculars . Imagine if the pilot had a console screen where he could view the interior and exterior of the aircraft My local 7/11 has a split screen view of all aisles and the car park. He could even see who is the other side of the security door – bet there isn’t even a peephole at present. Finally, the industry needs to get serious about safety inspections of in-service aircraft with greater attention to fuselage and critical structures. This particularly applies to budget flights such as AirAsia and Germanwings (and such as Delta in US) who treat turnarounds like Indy 500 pit stops in the name of profit. Apart from the danger of missed defects, it puts great stress on the pilots. End of rant lol. ps would it hurt to have the option of a chocolate snack bar instead of peanuts (in joke).